I’m so lucky to be in Young Women’s! At the beginning of each year we welcome in a the beehives who will be coming into young women’s this year. We have a girl in our presidency who is always coming up with the cutest ideas! I can not take credit for the idea, just the follow through. I went online and found these adorable jars of honey and wands! 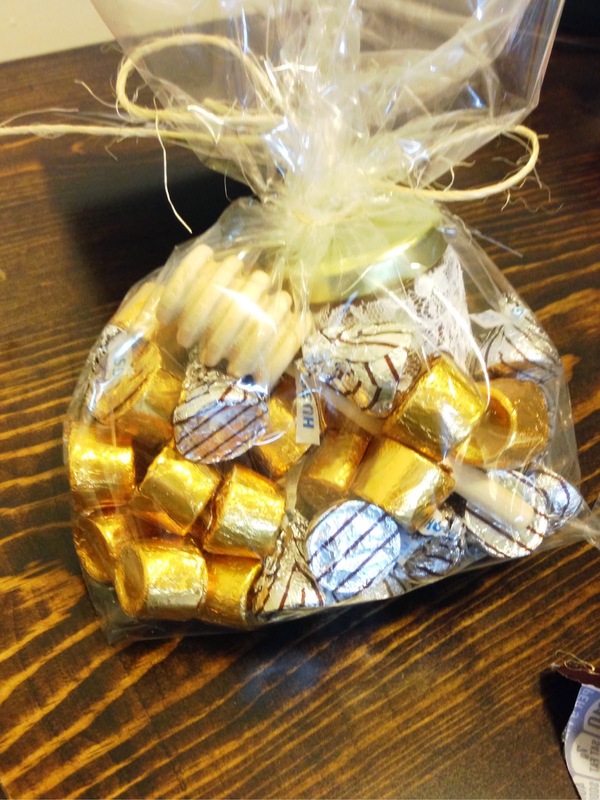 Then she came up with the saying above, “Honey, we’re so happy to have you in beehives!” They honey jars were smaller then I originally thought, so Matt and I filled the cellophane bags with Rolos and Hugs. Matt thought the Rolos look like beehives, I told him he was crazy but it turned out cute!! I think they are cute and represent the Beehives well. Very cute!!! They turned out great how cute!